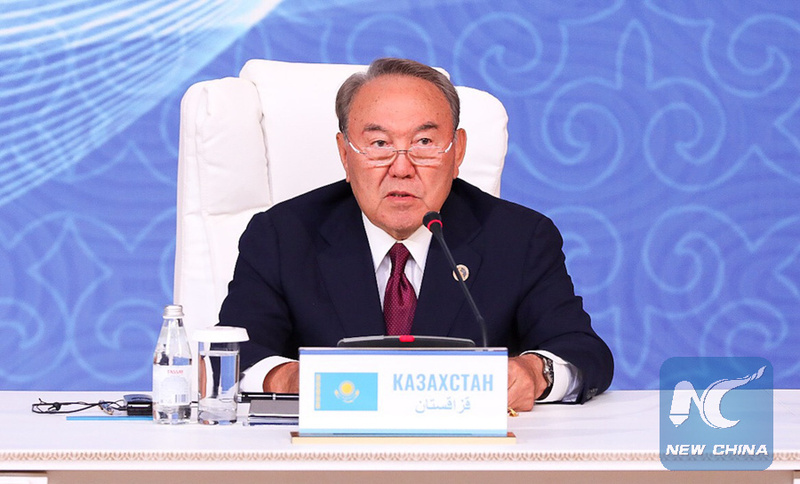 ASTANA, March 19 (Xinhua) -- Kazakh President Nursultan Nazarbayev announced his sudden resignation on Tuesday after nearly three decades of leadership in the Central Asian country. "As the founder of an independent Kazakh state, I see my future task in ensuring a new generation of leaders coming to power who will continue the transformations being carried out in the country," Nazarbayev said in a statement before signing a decree terminating his presidency from March 20. He said he would retain the post of the head of the country's Security Council and leader of the Nur Otan party, and remain a member of the Constitutional Council. Kassym-Jomart Tokayev, speaker of the upper house of parliament, will take over as Kazakhstan's acting president for the remainder of his term in line with the constitution, Nazarbayev added. Nazarbayev, 79, had been serving as Kazakhstan's president since the country's independence from the Soviet Union in 1991.